Eli Is Probably The Person That Entered The Giants’ Address Information On Google, Right? While Bernard’s definition of a nudist is different than most, I have to admit that the headline was pretty funny. Because the guy who in different years has ended the seasons of Tom Brady, Wes Welker, Stevan Ridley, and basically Rob Gronkowski should be a badass super villain that looks and acts like J.J. Watt or Terrell Suggs. Instead, he loves to sit naked in the middle of crowded locker rooms filled with dudes. The other guy that ends Patriots seasons on a regular basis is a guy that isn’t even the best quarterback in his family and is routinely mocked for being goofy and stupid. So despite all of the success the Patriots have had, these two nitwits have been responsible for costing the Patriots likely three more rings. And if I was a Pats fan, it would drive me BONKERS. After last week’s prediction went so well, I figured it was time to get back on the horse and breakdown today’s Giants/Cardinals game. Here are three reasons the Giants will beat the Cardinals today. 1. 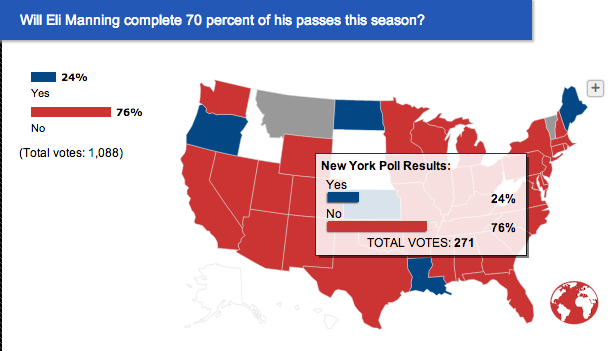 The Giants have the better quarterback. I should probably get punched in the face for saying that after the way Eli Manning and Carson Palmer looked on Monday night. But Palmer has not been able to throw at all in practice this week due to a nerve issue in his shoulder. Last I heard, Palmer was 50/50 to even play the game. As bad as Eli played in Week 1, at least he is healthy (for now). So what I am really saying is a healthy Eli is better than an injured Carson Palmer or healthy John Brown playing the most important position on the field. 2. 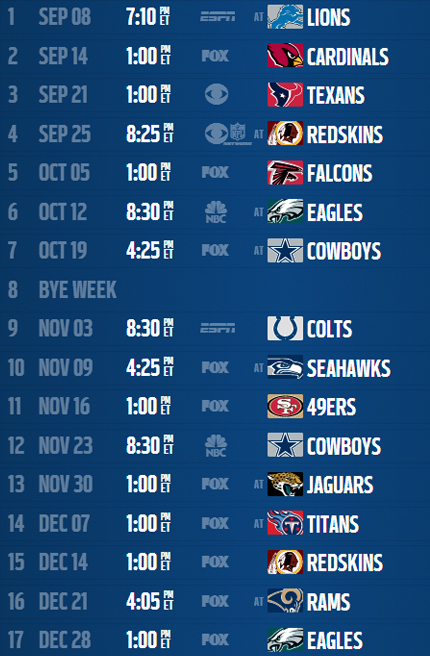 Whether or not Palmer plays injured, the Cardinals will likely lean on Andre Ellington and the Arizona running game. Luckily for the Giants, the one part of the entire franchise that looked good in the Lions game was the rush defense. 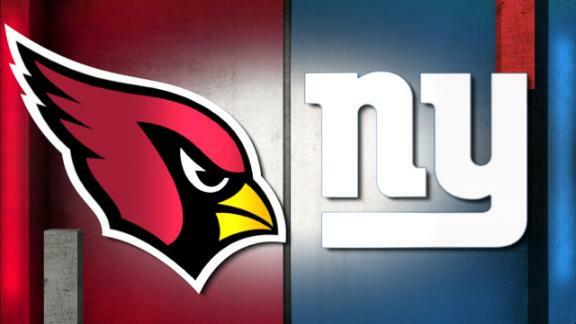 I expect Big Blue to shut down Arizona’s ground attack and it will be up to the Giants offense and special teams to help the defense by winning the field position battle (unlike in Detroit). 3. Finally, the Giants have the better pass rush. The Cardinals came into the season with a bunch of question marks after injuries, suspensions, and free agent defections decimated their front 7. Their best (and probably only legit) pass rusher was John Abraham, who left the team after their Week 1 win due to a concussion. Abraham has complained of memory loss and is seriously considering retirement. Suddenly J.P.P.’s shoulder injury doesn’t seem so dire in the grand scheme of things. Anyway, advantage Giants.